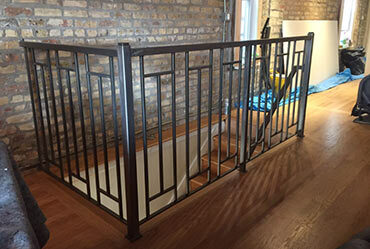 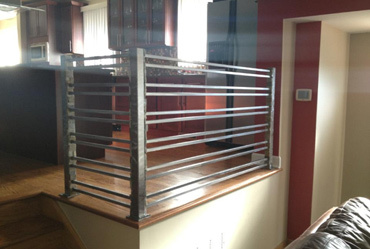 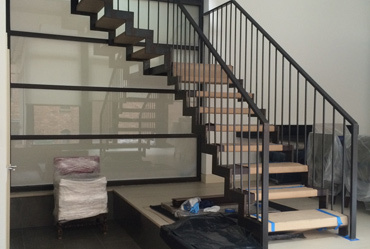 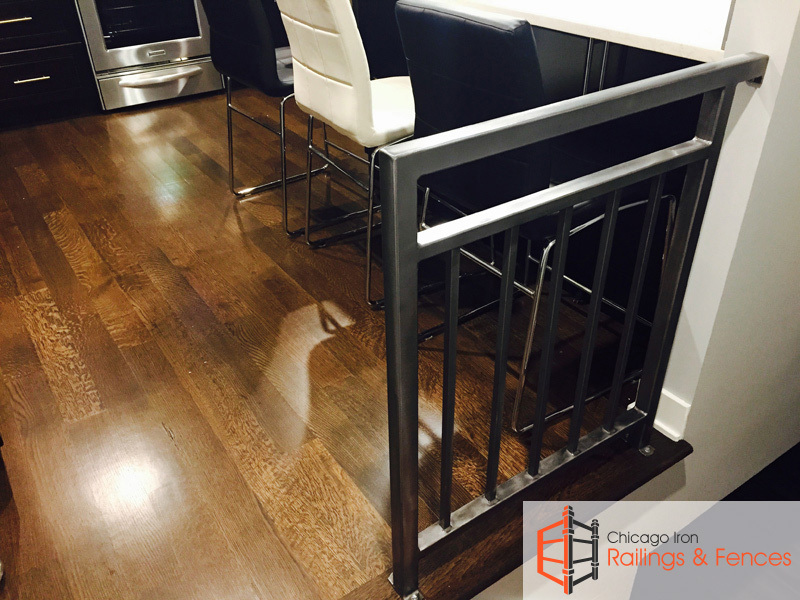 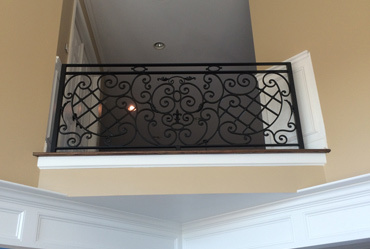 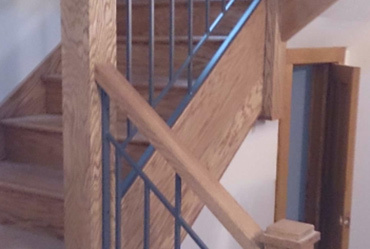 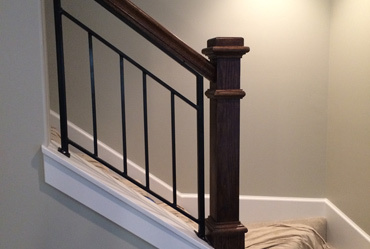 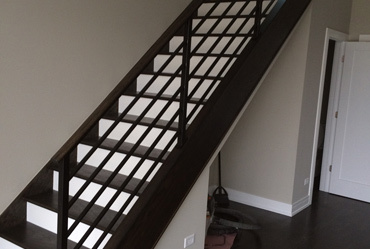 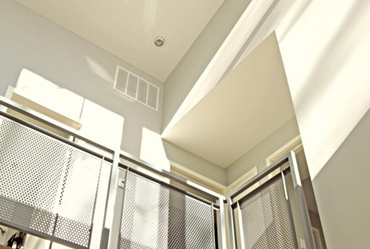 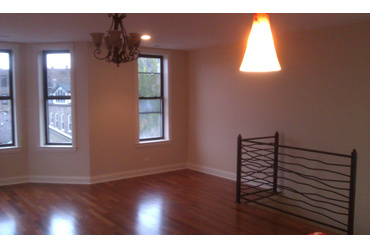 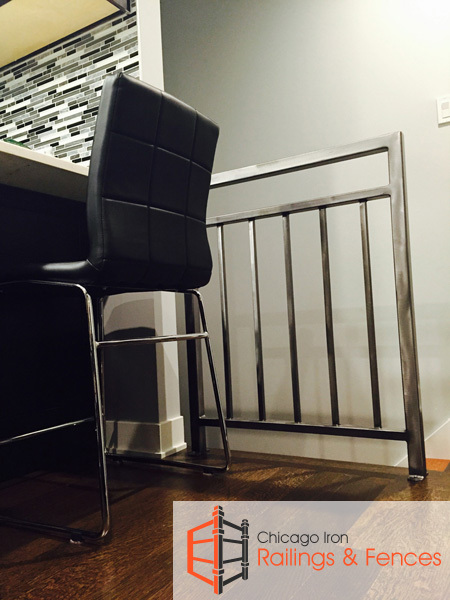 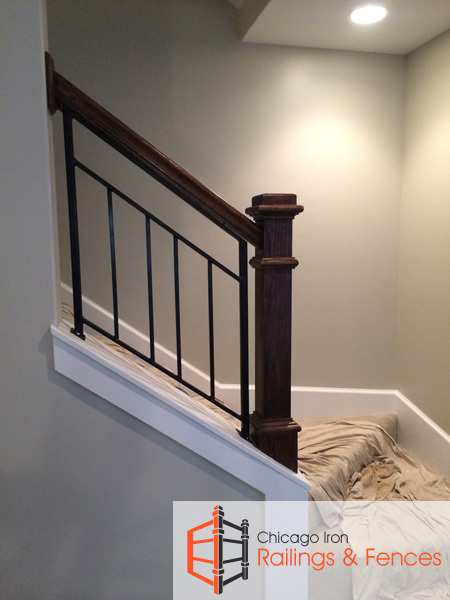 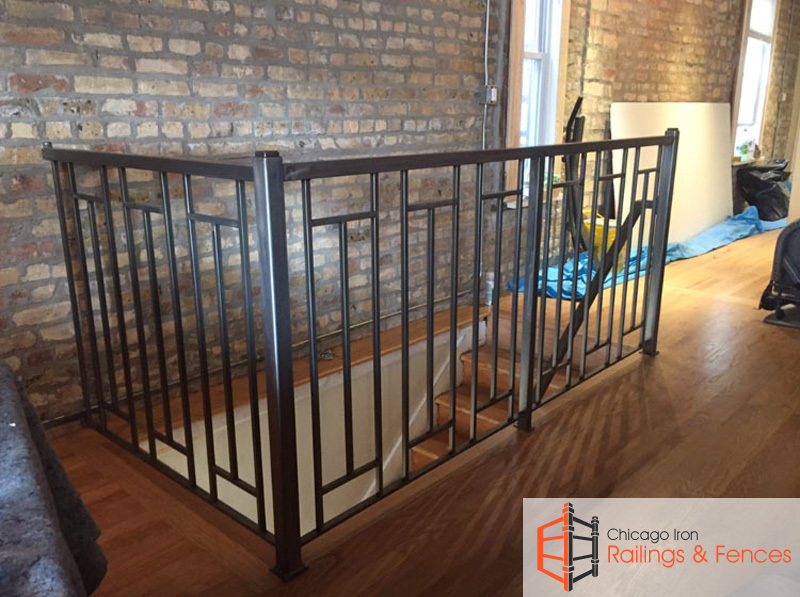 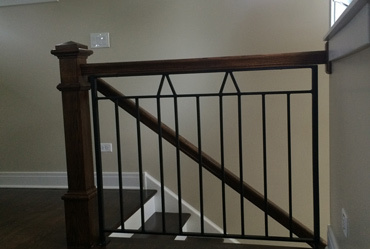 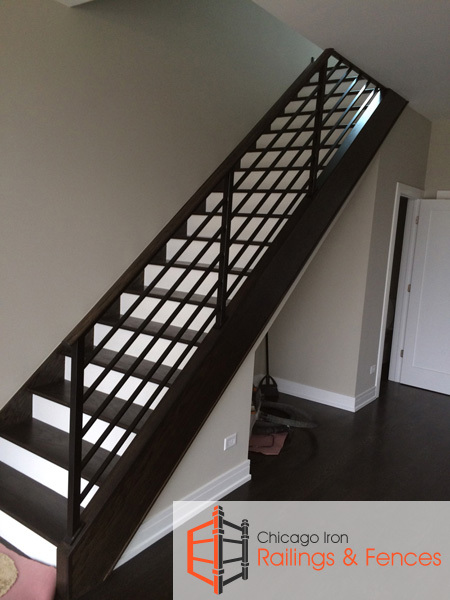 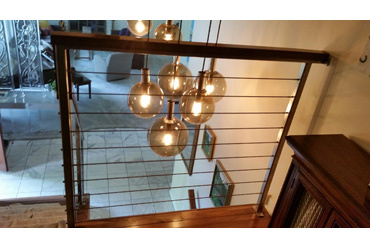 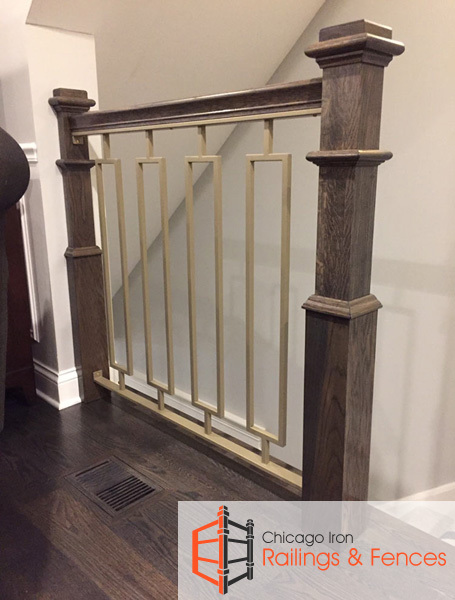 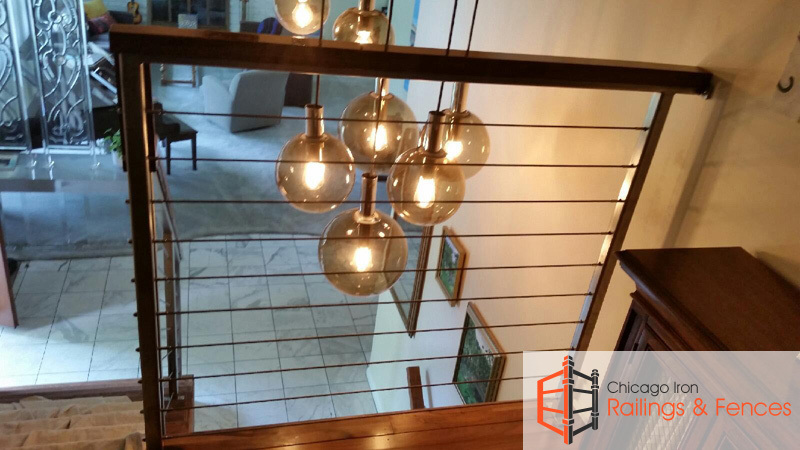 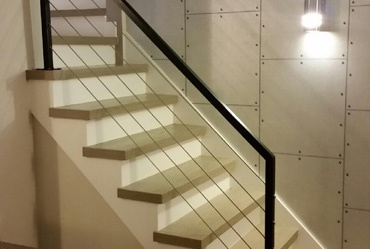 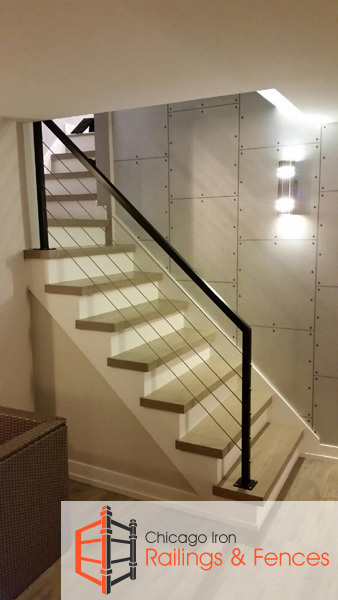 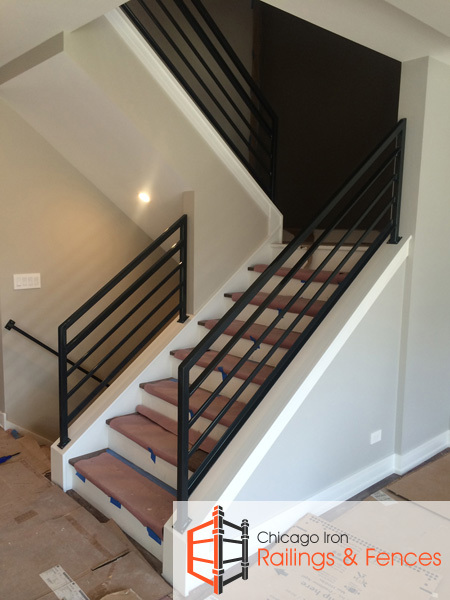 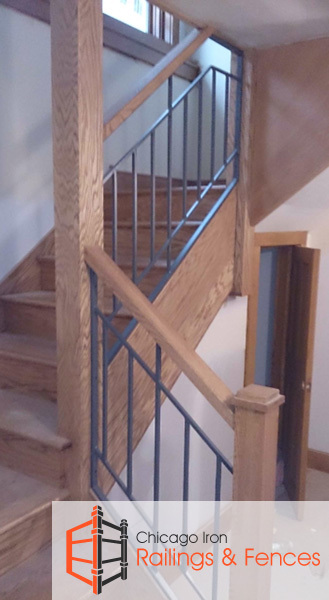 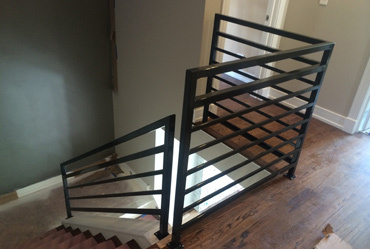 Chicago Railings and Fences is an indoor railings fabrication and installation contractor operating in Chicago founded by ironworks master artisans. 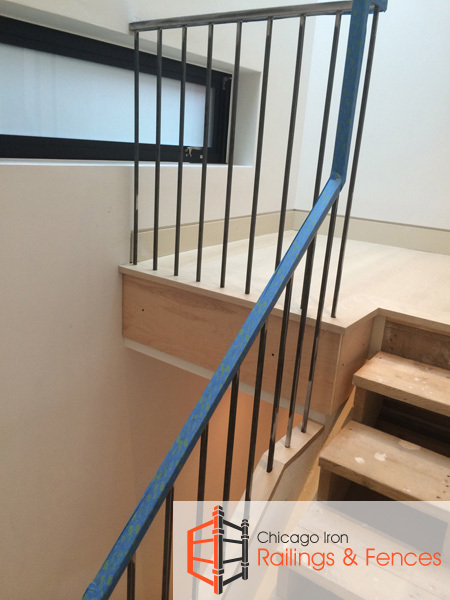 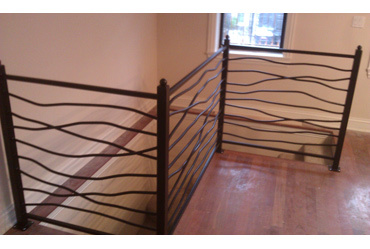 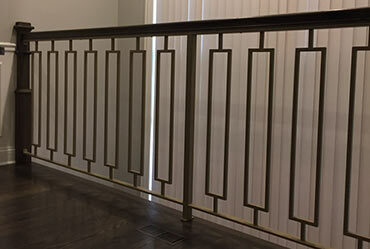 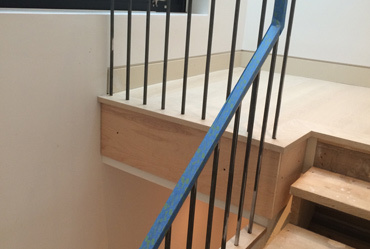 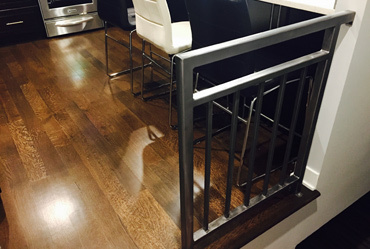 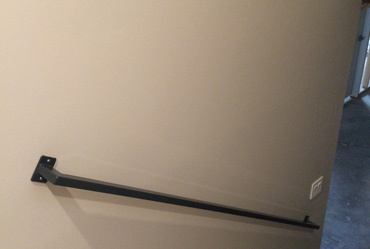 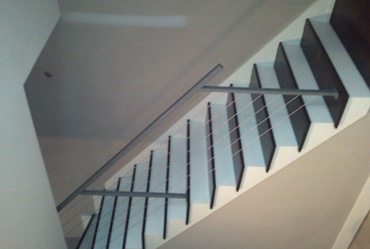 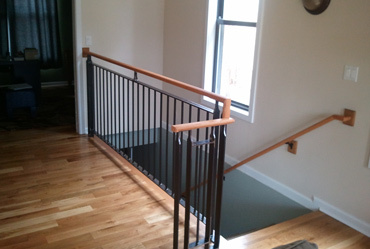 We ensure fast and cost effective fabrication of any indoor railings and handrails. 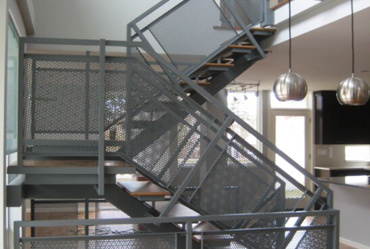 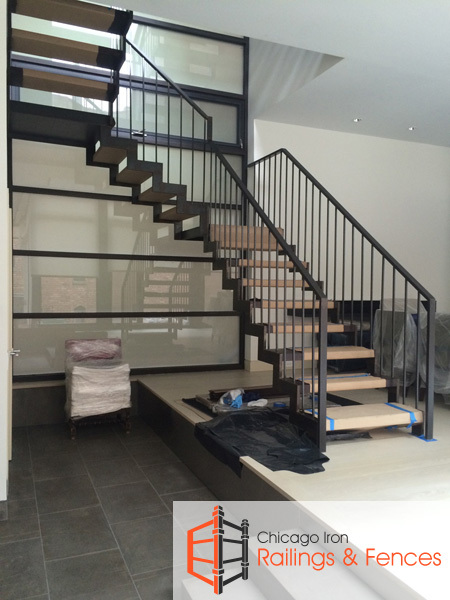 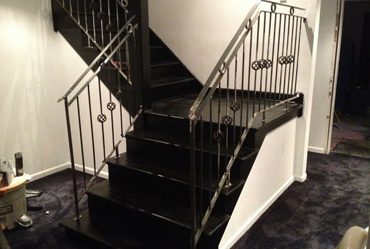 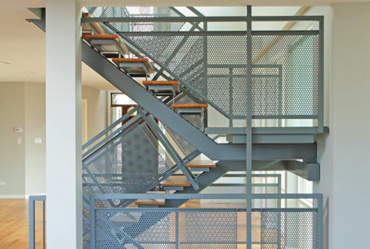 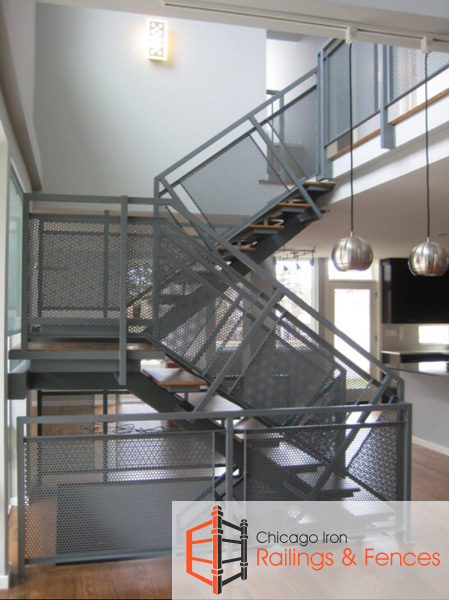 Fast, expert fabrication and installation of all indoor ironwork including indoor stair railings, staircase railings and handrails, spiral staircase railings. 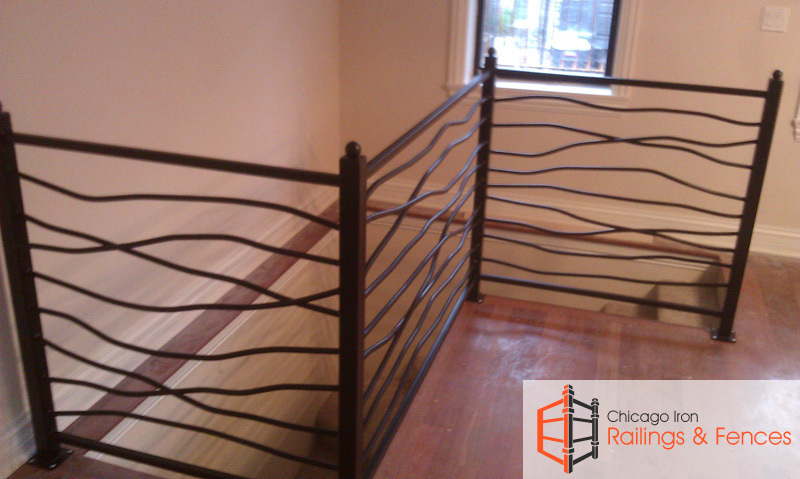 Chicago railings and fences was originally founded by master artisans who specialized in fine works of iron, and since the time of the company's inception, we have been manufacturing and installing the highest quality railings in the area of Chicago and its suburbs. 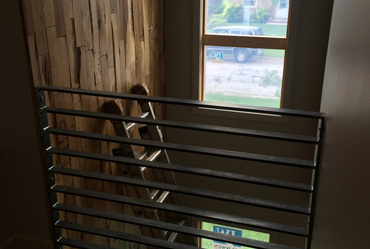 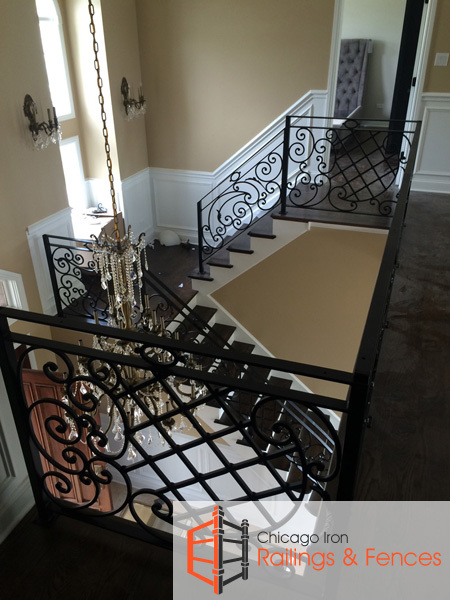 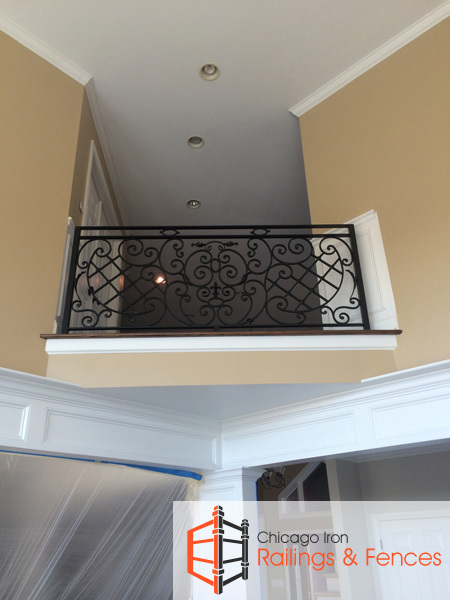 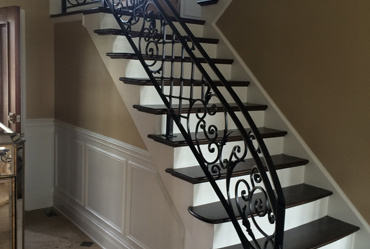 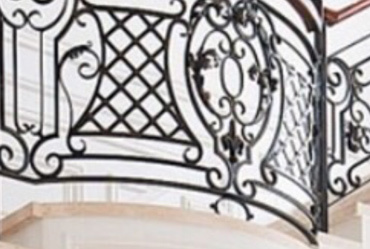 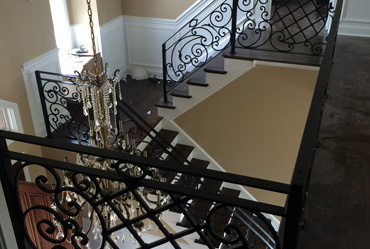 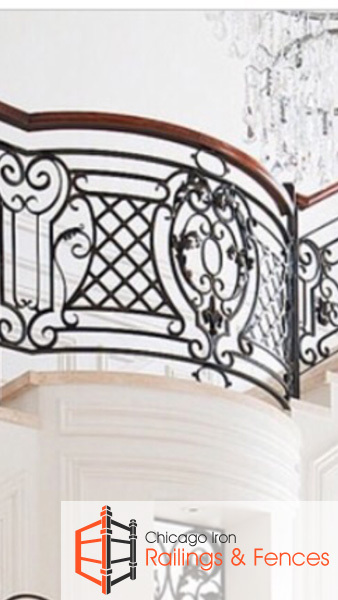 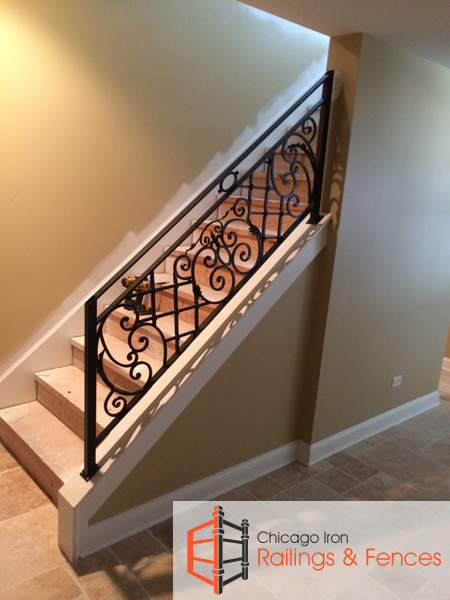 If you're looking for indoor railings in Chicago and Chicago wrought iron railing installation, we are the contractors you should be consulting with. 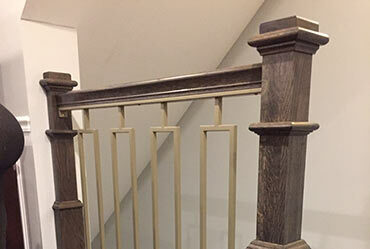 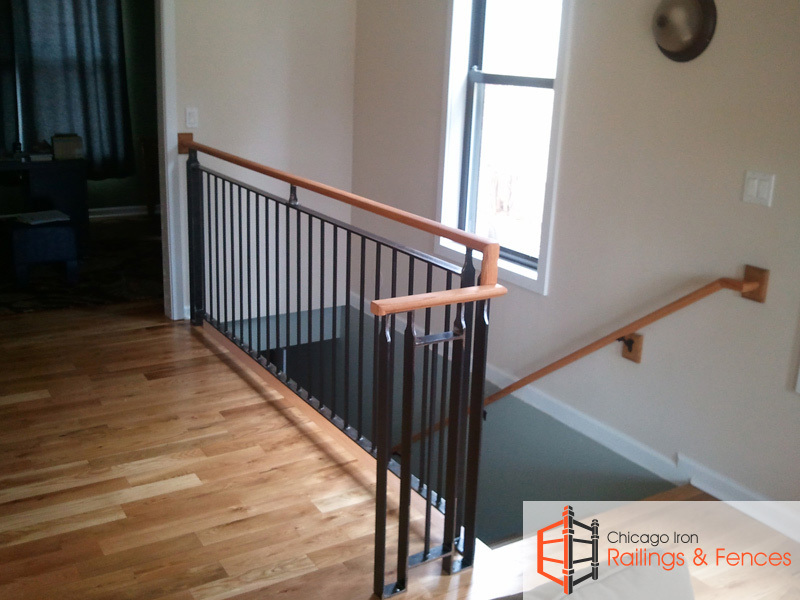 We are the #1 Chicago floor railings installation company, and the stair handrails contractor company Chicago to remember. 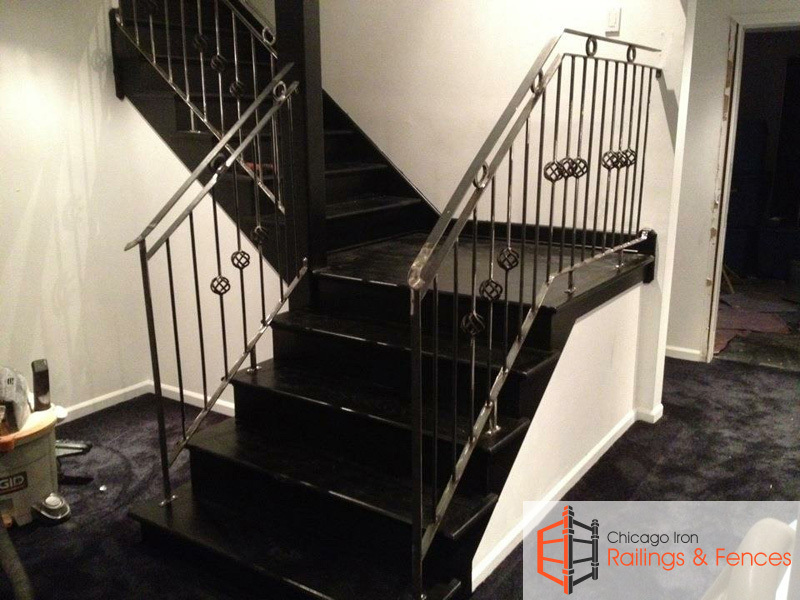 Indoor iron stair railings Chicago are another area of specialty for us, and since we do the best stair railings installation in Chicago, we've earned a reputation as the one staircase railings installation company in Chicago as well as the one Chicago spiral staircase railings contractor company to turn to for truly exceptional products and customer service in each of those areas. 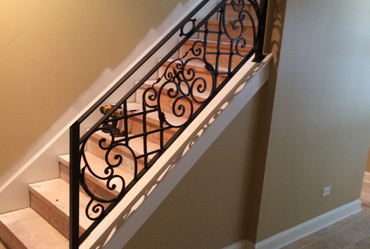 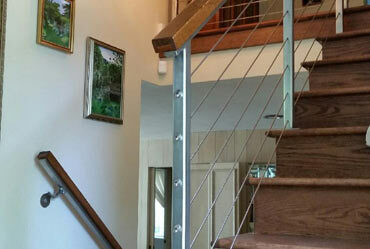 Almost anything to do with wrought iron railings falls within our area of expertise. 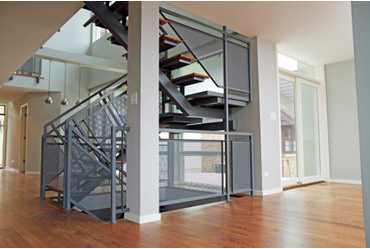 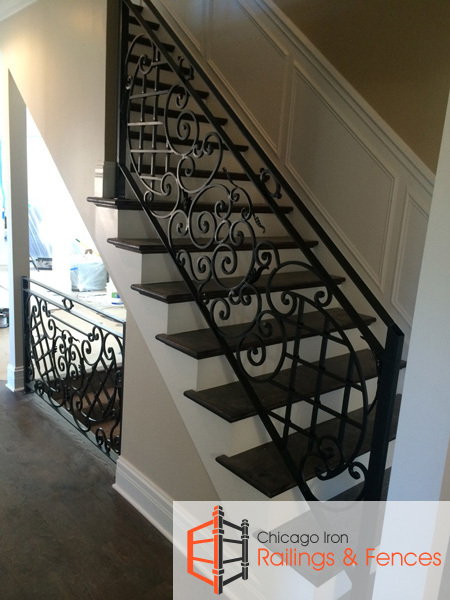 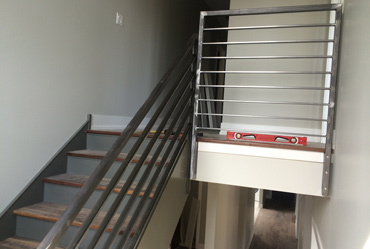 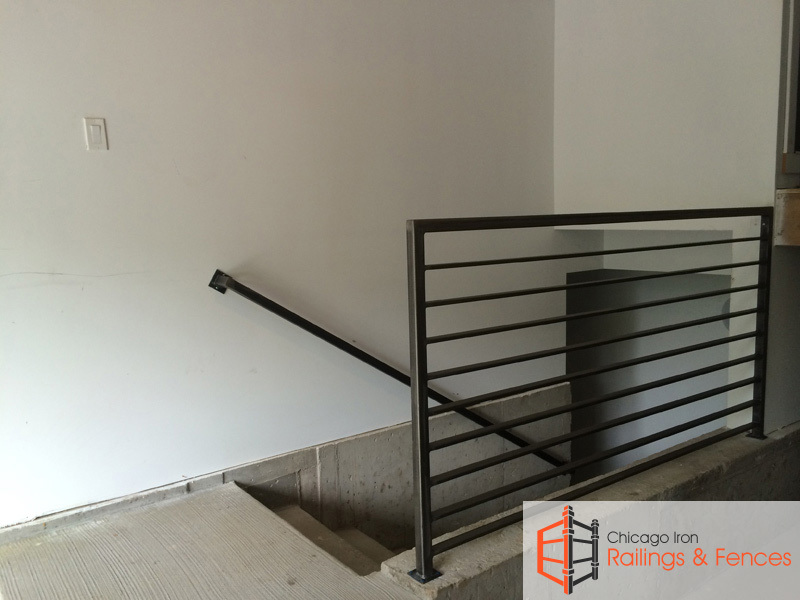 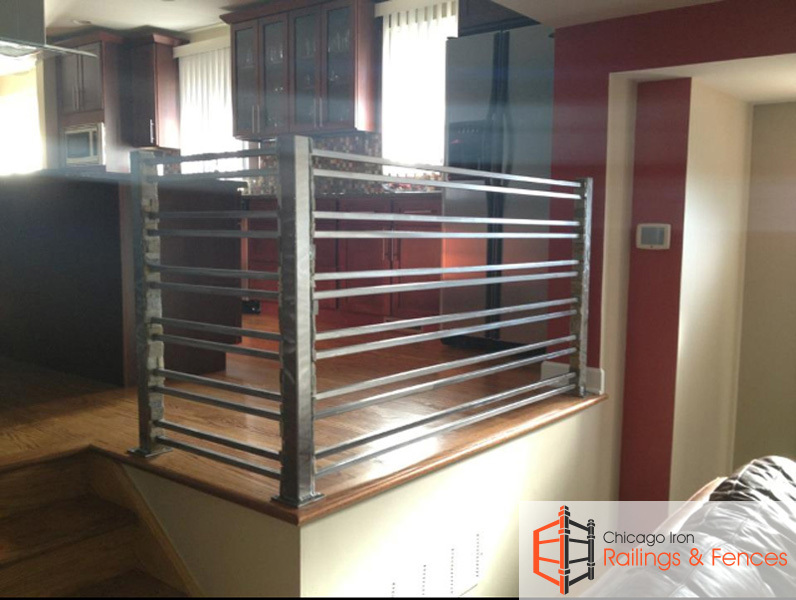 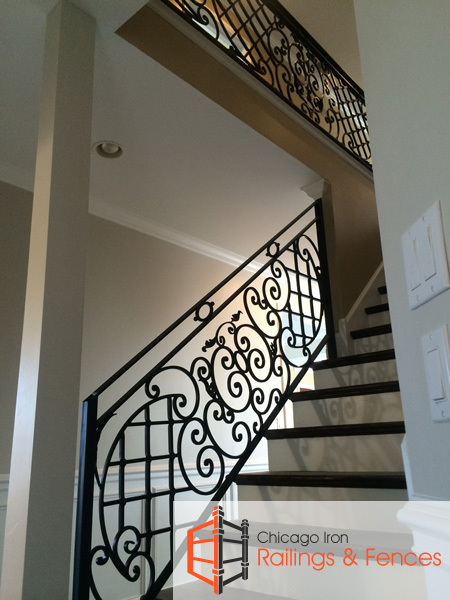 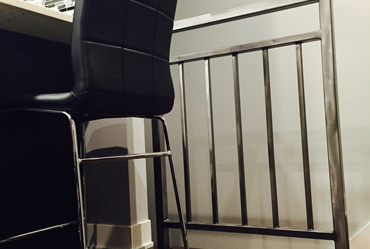 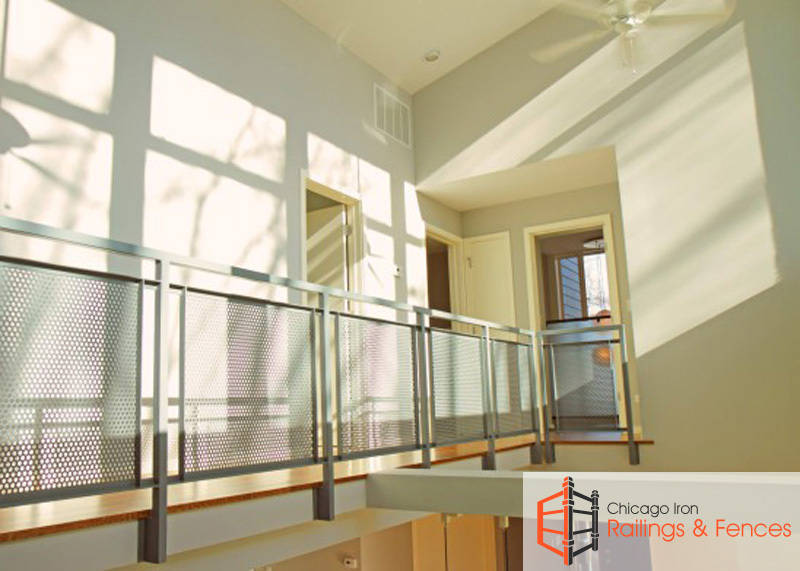 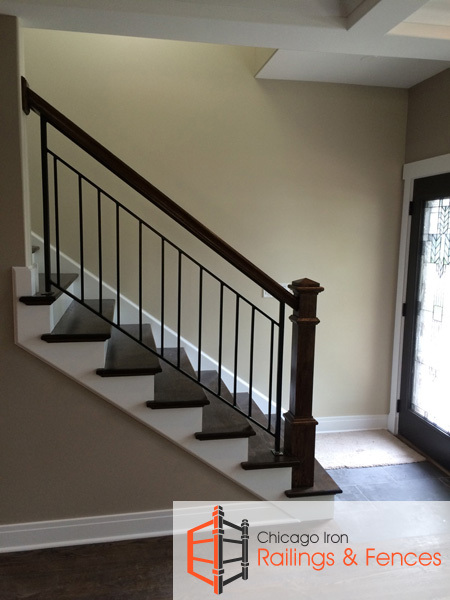 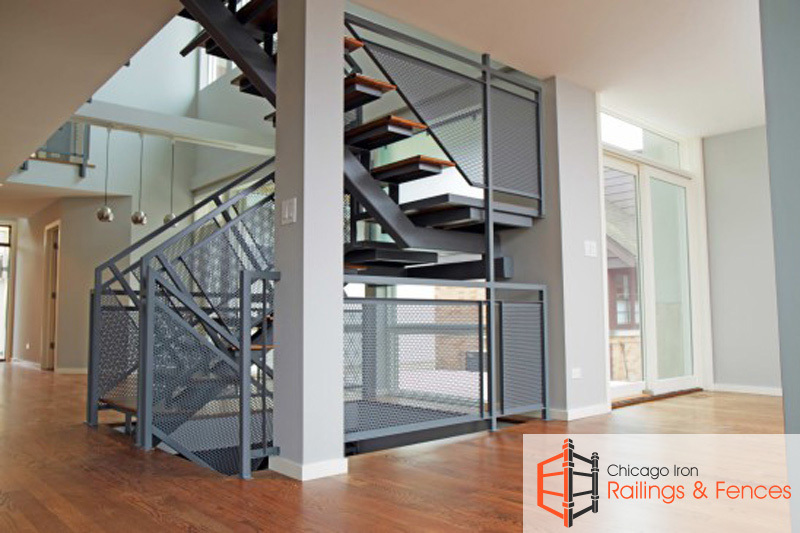 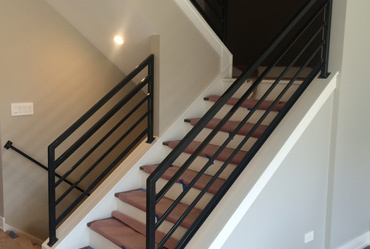 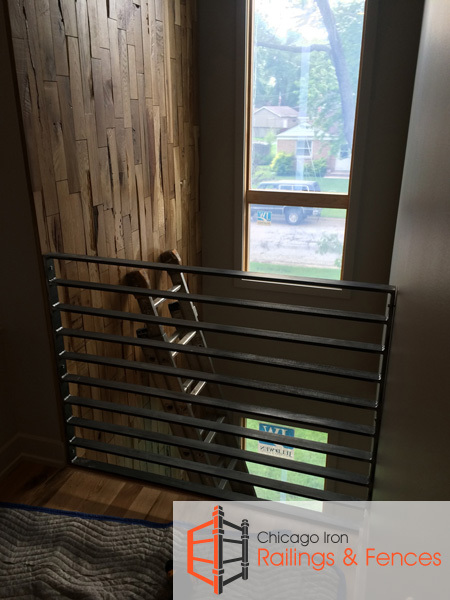 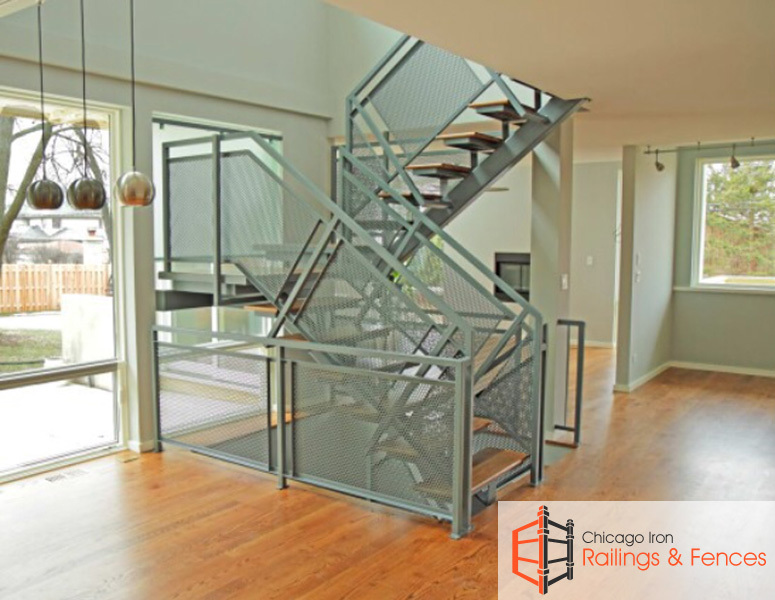 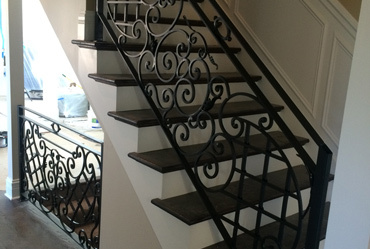 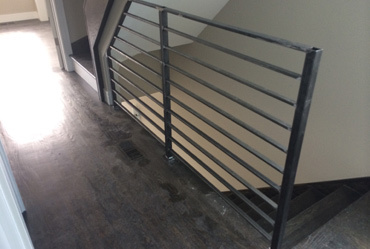 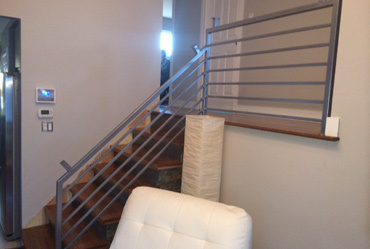 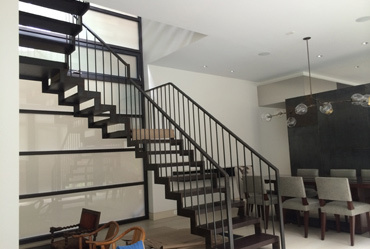 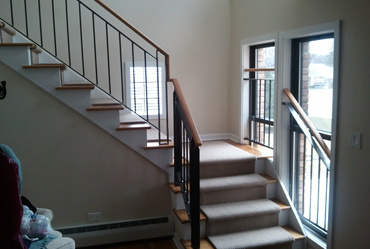 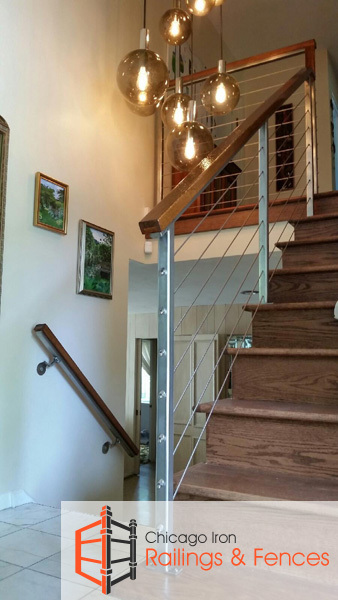 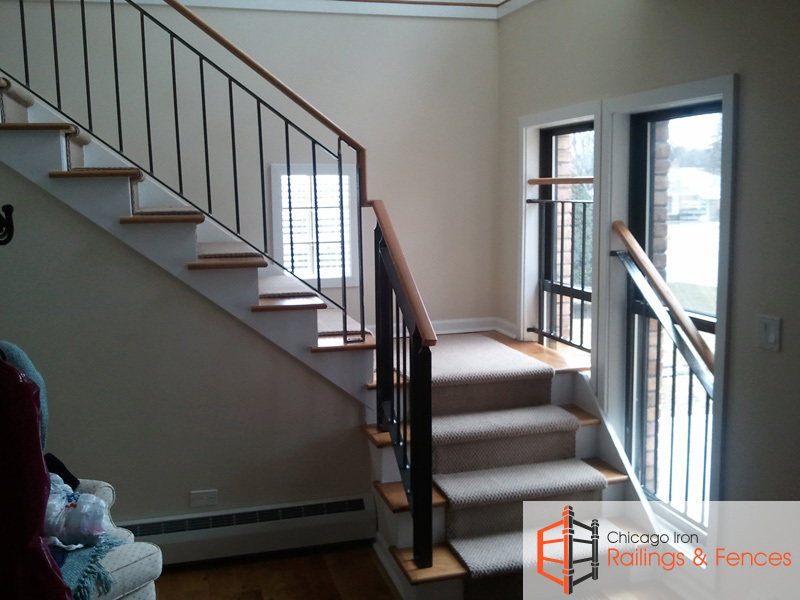 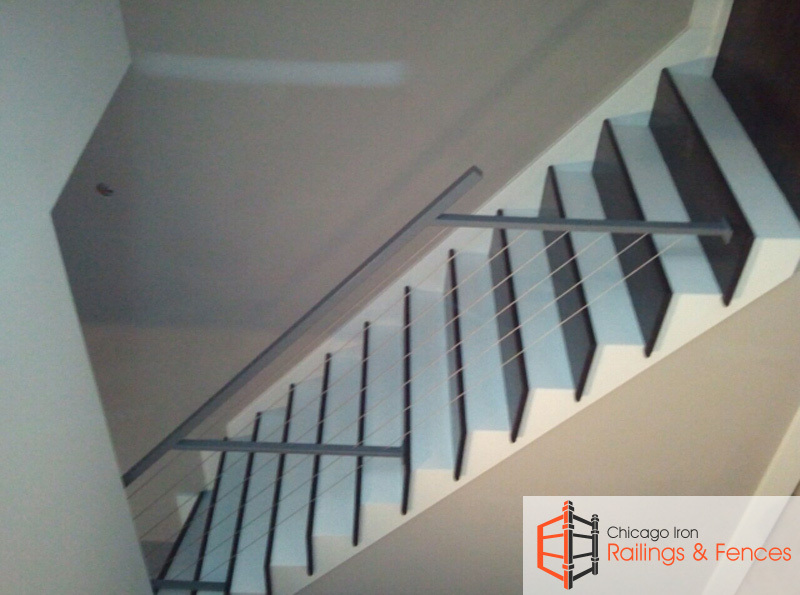 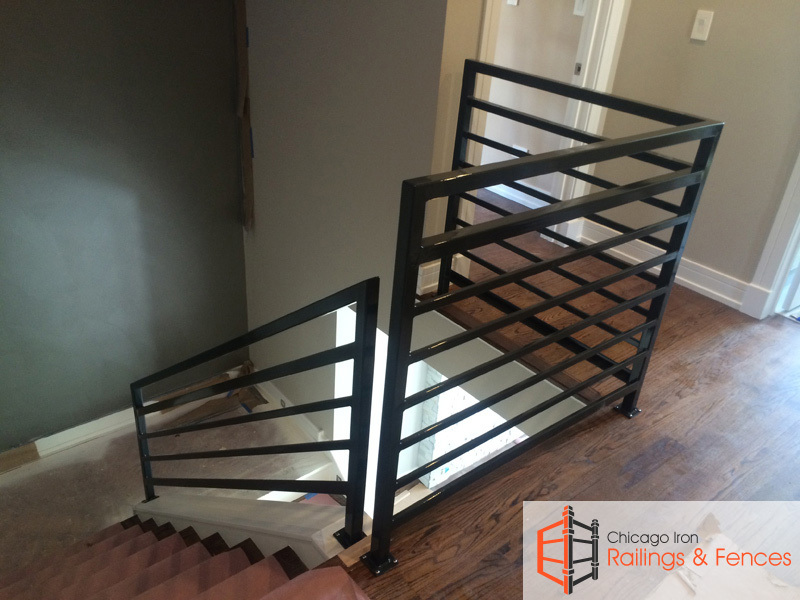 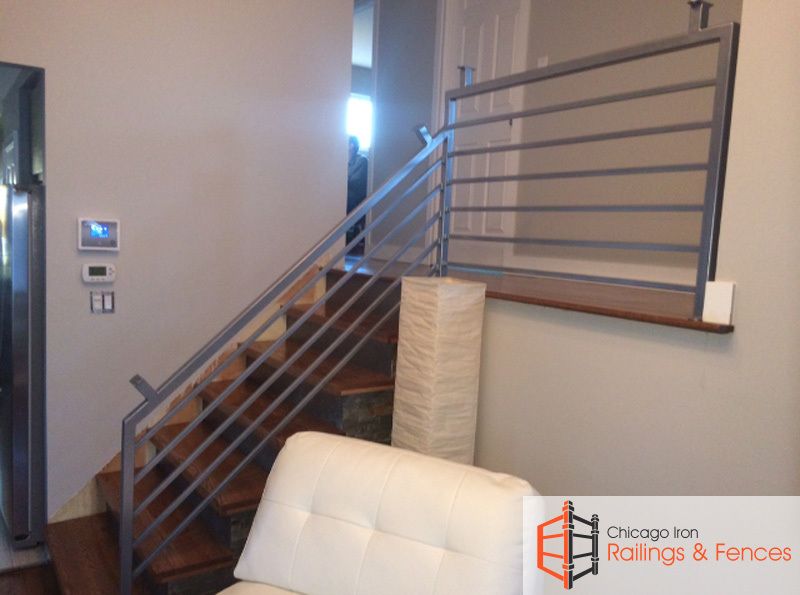 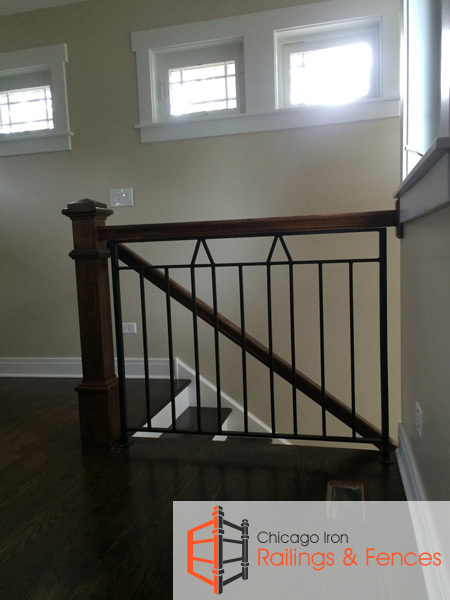 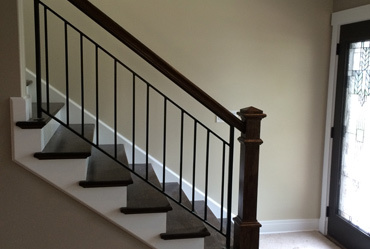 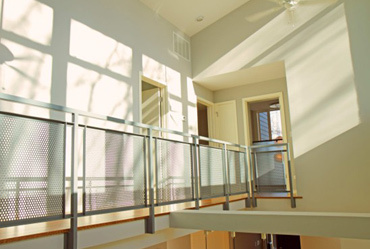 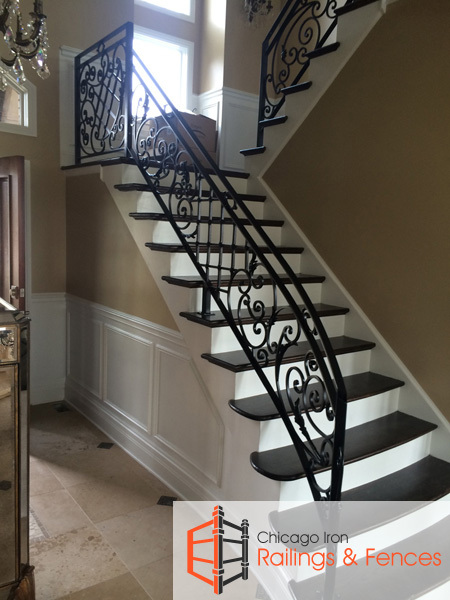 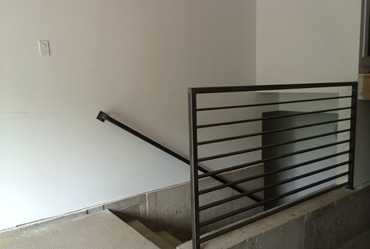 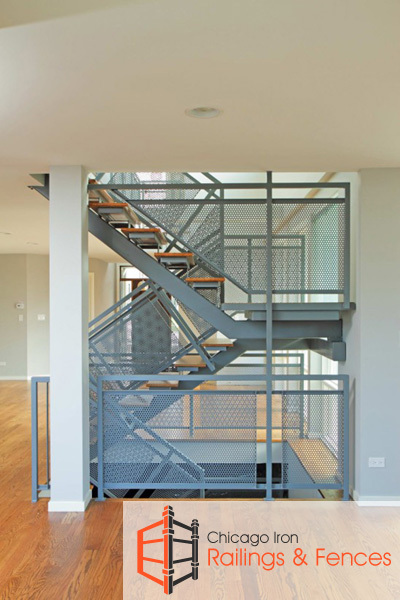 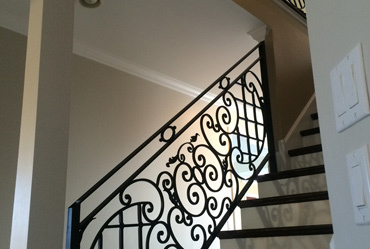 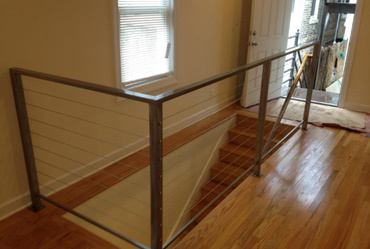 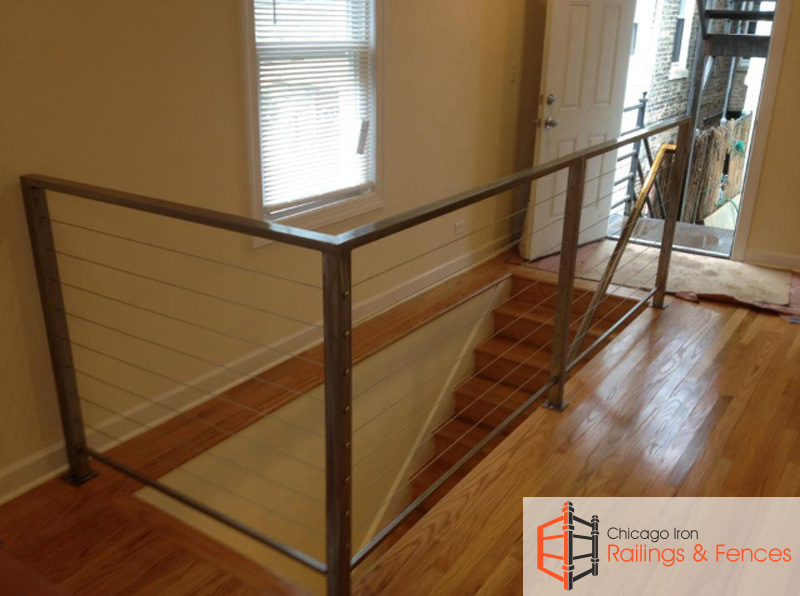 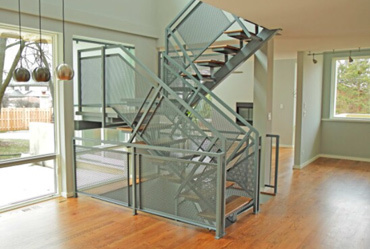 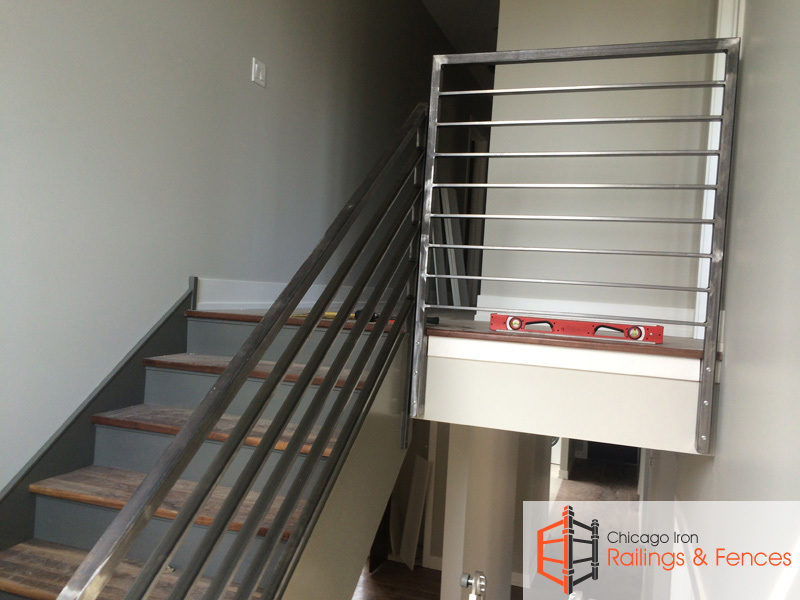 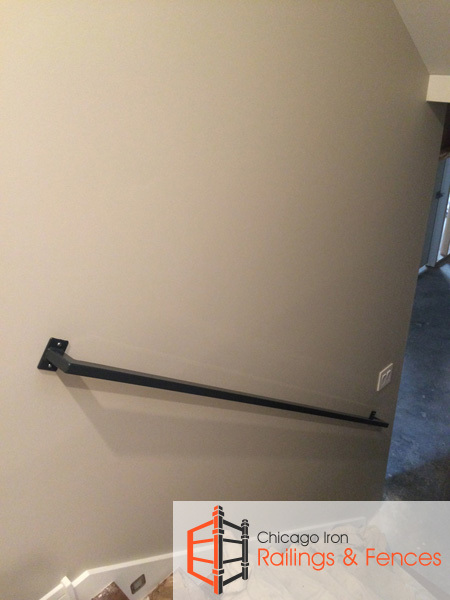 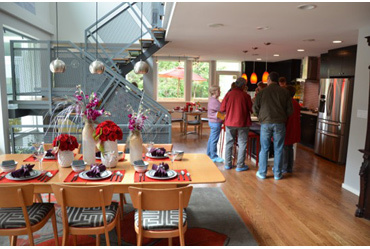 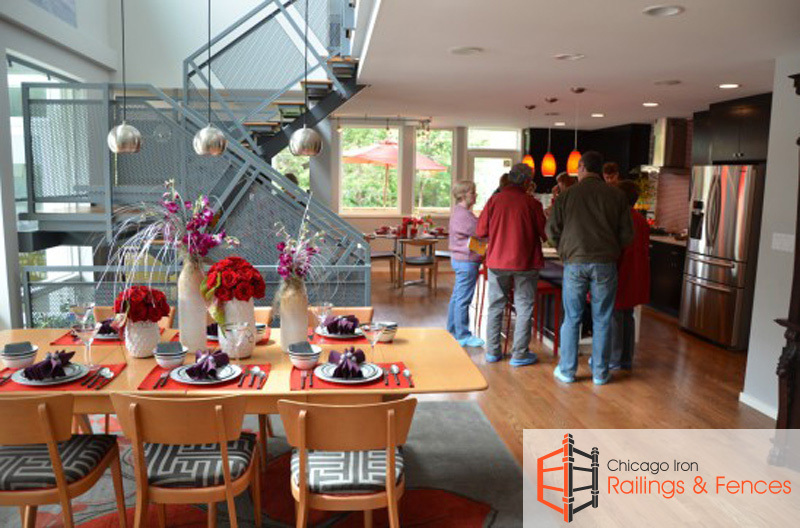 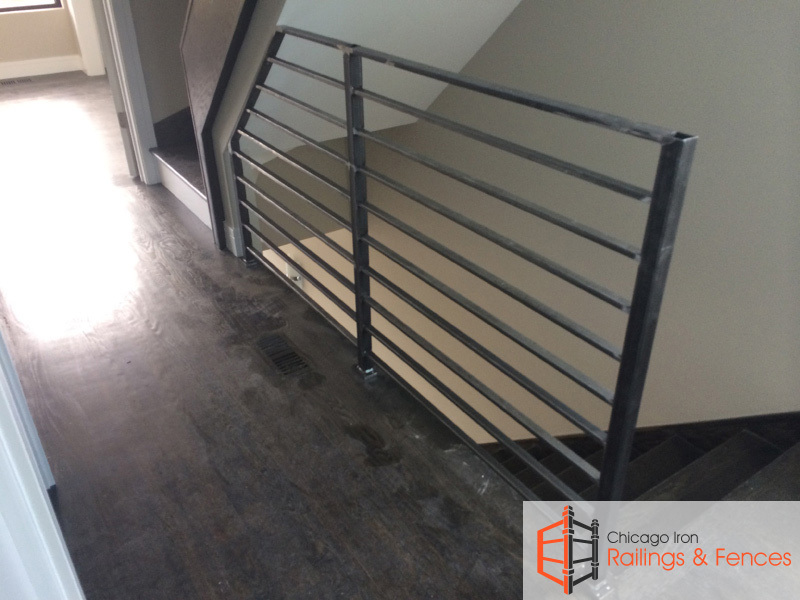 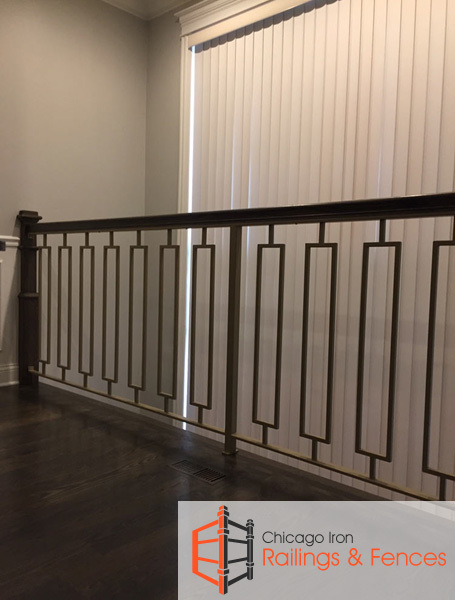 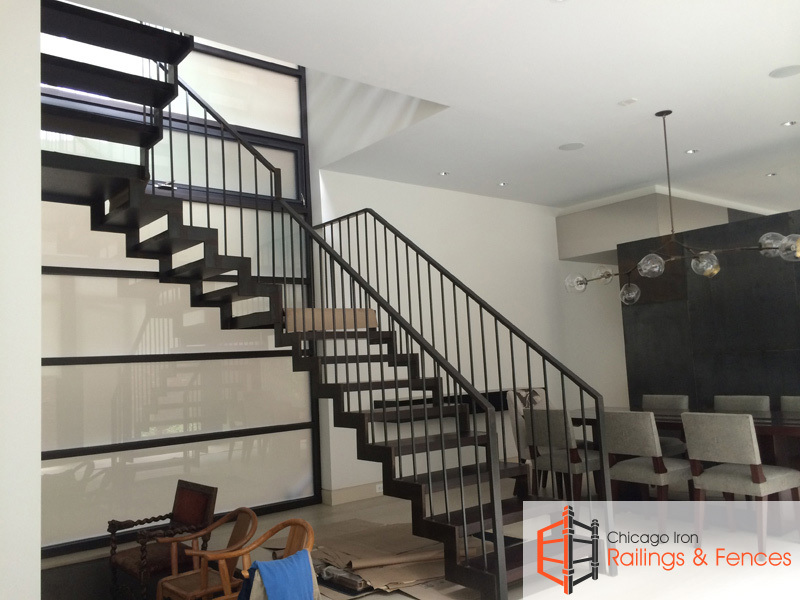 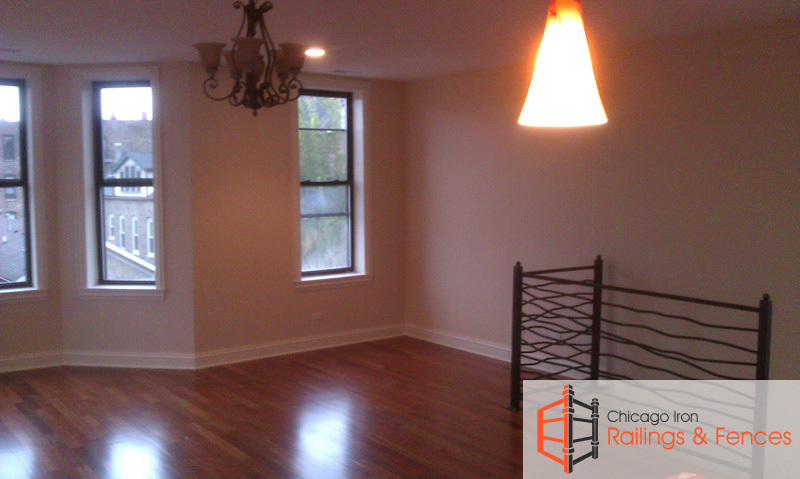 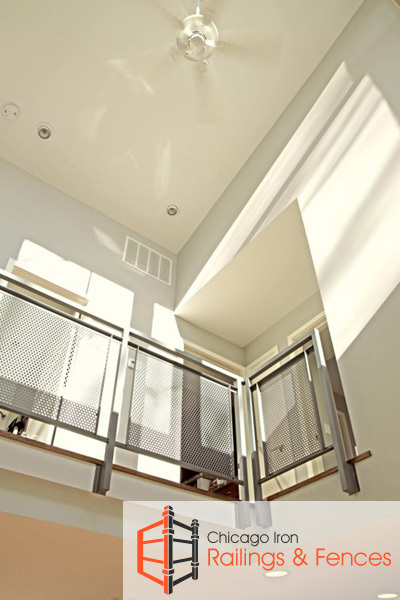 We are very happy to take on Chicago rod iron railing projects with clients, and we also offer all kinds of Chicago metal railings for installation in homes and businesses anywhere in the area of Chicago and the surrounding region.